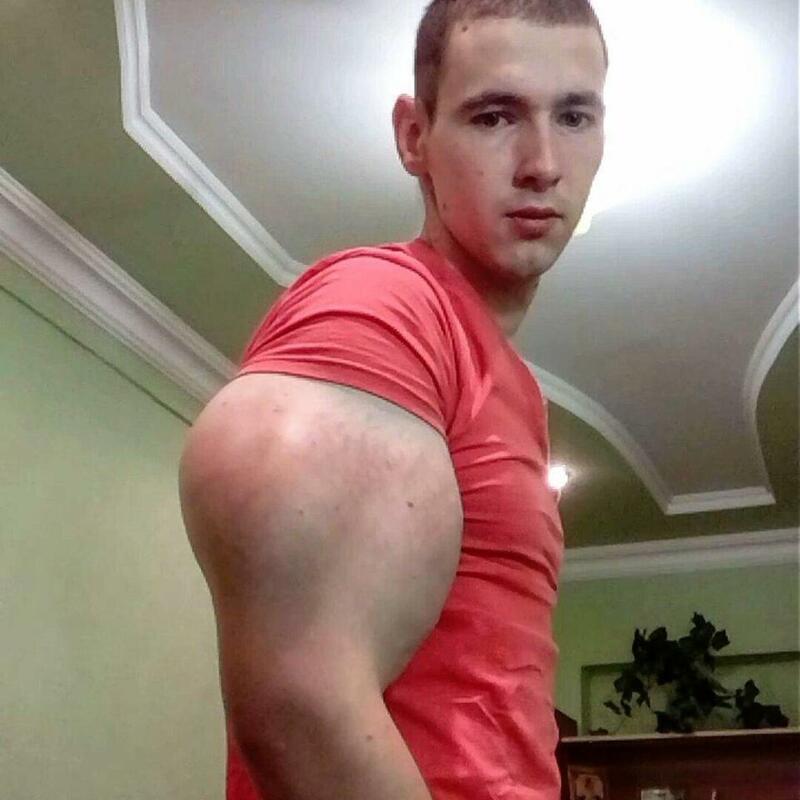 A Russian bodybuilder has got himself some freaky Popeye style biceps by injecting his arms with a dangerous oil. 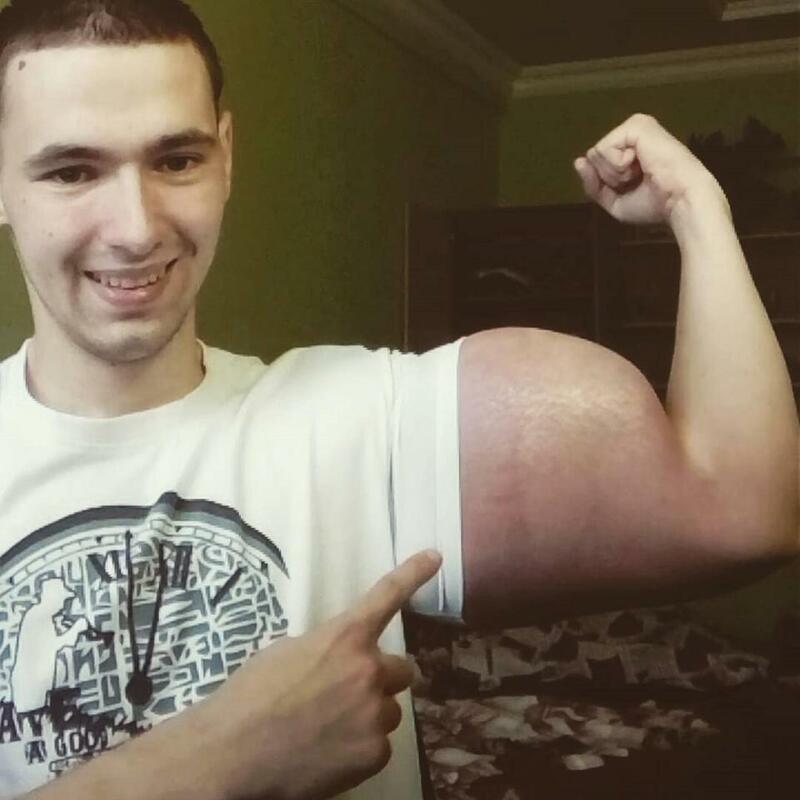 21 year old, Kirill Tereshin, from Pyatigorsk, Russia got his strange looking arms by injecting himself with synthol, a popular but hazardous bodybuilding oil. After he began the risky process his arms increased in size by 26 centimetres in just 10 days. But then they stopped getting any bigger, so he increased the size of the injections from 250ml. “In order to reach such a size, you need to inject litres into your arms,” he told The Sun newspaper. According to experts, the former Russian soldier risks permanent damage. Tereshin seems aware of the risks when he explained his routine, but is determined to continue. “I was doing it and getting a fever of up to 40 degrees, I was lying in bed, feeling like I was dying, but then it all turned out fine,” he said. Synthol is a muscle site enhancement oil and is a blend of oil (85 per cent), painkillers and alcohol. When injected the oil expands between the muscle fibres and then hardens. 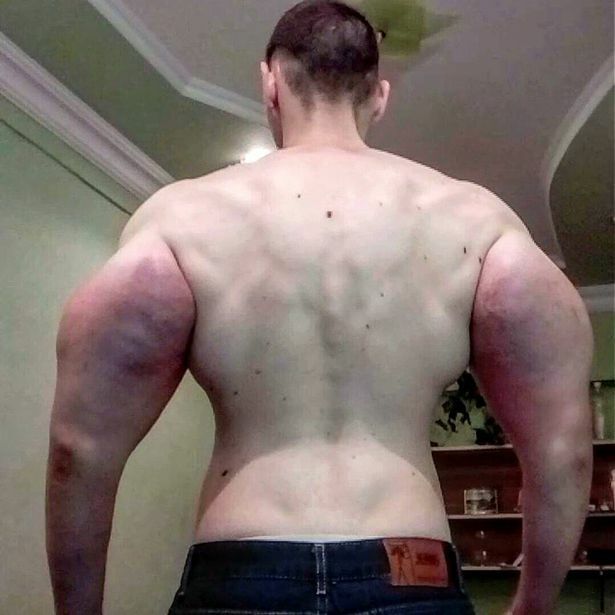 But synthol is slowly broken down by the body, so users have to continue injecting to stop their muscles reducing in size.